Who Says Study Missions Are Only for Students? 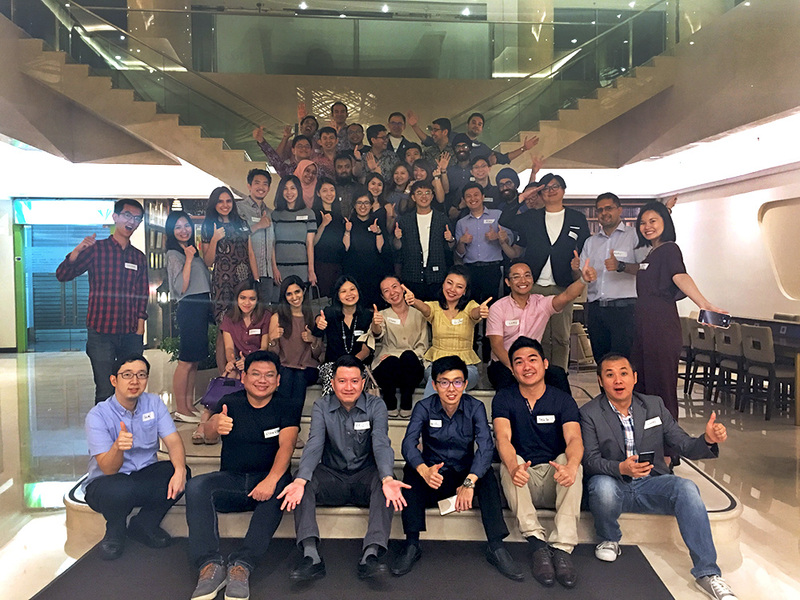 Thirteen alumni from the SMU Myanmar Alumni Chapter (SMUMAC) became students again for a week, when they embarked on the inaugural Alumni Study Mission to Jakarta, Indonesia. Many of SMU Myanmar Alumni Chapter’s (SMUMAC) members are set to become future leaders of Myanmar. The majority of them repatriated in 2012–2016, at the height of Myanmar’s economic boom. Since then, they have blazed trails in Yangon’s start-up scene, rejuvenated family businesses, or made their mark in MNCs. 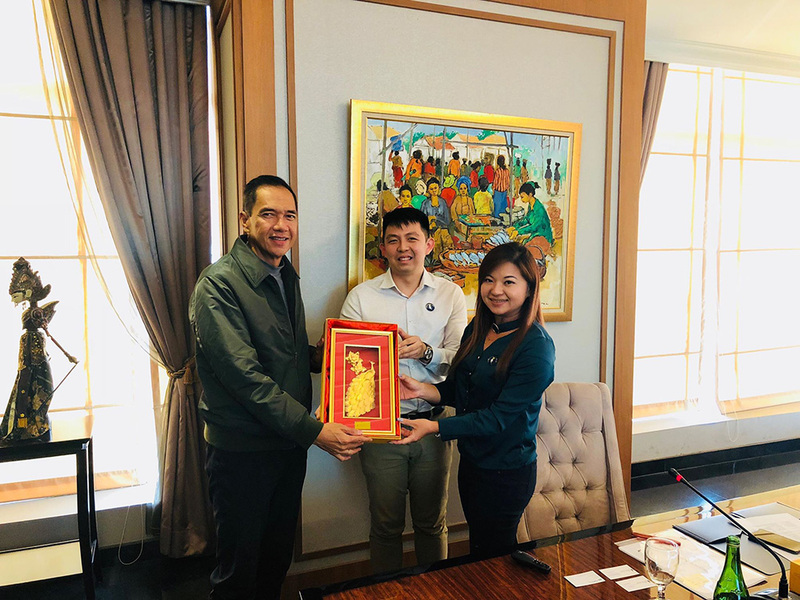 As I learnt from Naing Ye Lin (BBM 2013), the President of SMUMAC, SMU has gained a reputation as the “Start-up Myanmar University” in Yangon, cementing SMU’s streak in creating entrepreneurial leaders. Naing Ye Lin himself is a director in Innoveller, a fast-growing start-up providing bus ticketing solutions founded by fellow alumnus Kyaw Kyaw Win (BSc(Econ) 2009. As many of them are still in the formative years of their careers, an Alumni Study Mission offered the perfect opportunity for them to glean business insights that would be useful to their own areas of work. 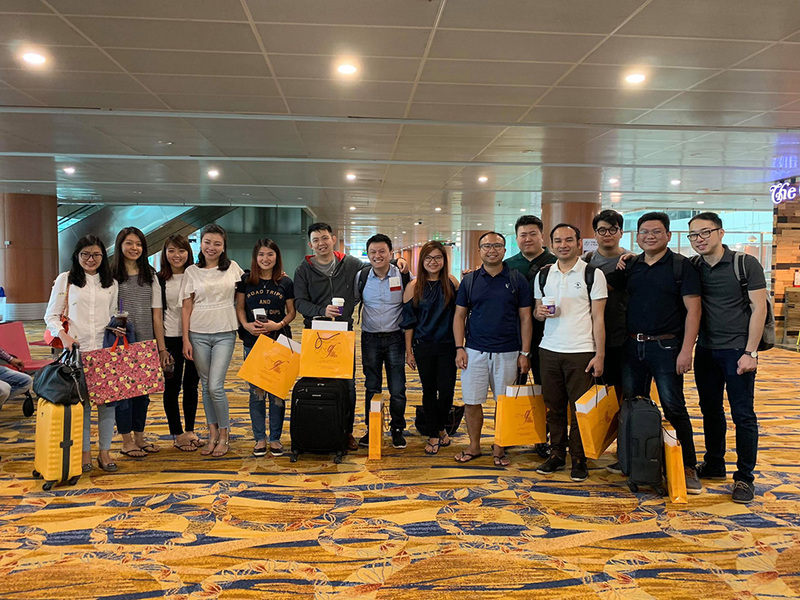 Armed with an open mind and loads of Myanmarese snacks for their Indonesian counterparts, 13 alumni landed in the Soekarno-Hatta Internation Airport in Jakarta, Indonesia on 7 October 2018, for SMU’s inaugural Alumni Study Mission. Tapping on SMU’s network of partners in Indonesia, SMUMAC was able to visit companies of different scales, ranging from conglomerates like Lippo Group (founded by Mochtar Riady), rising unicorns such as Go-Jek (the ride-hailing app which rivals Grab in Indonesia), to start-up enterprises such as Wonderlabs (co-founded by SMU alumnus Ivan Chang, BBM 2014). From the wide range of company profiles, SMUMAC was able to form a comprehensive picture of Indonesia’s economic outlook and draw comparisons to their own businesses back home. 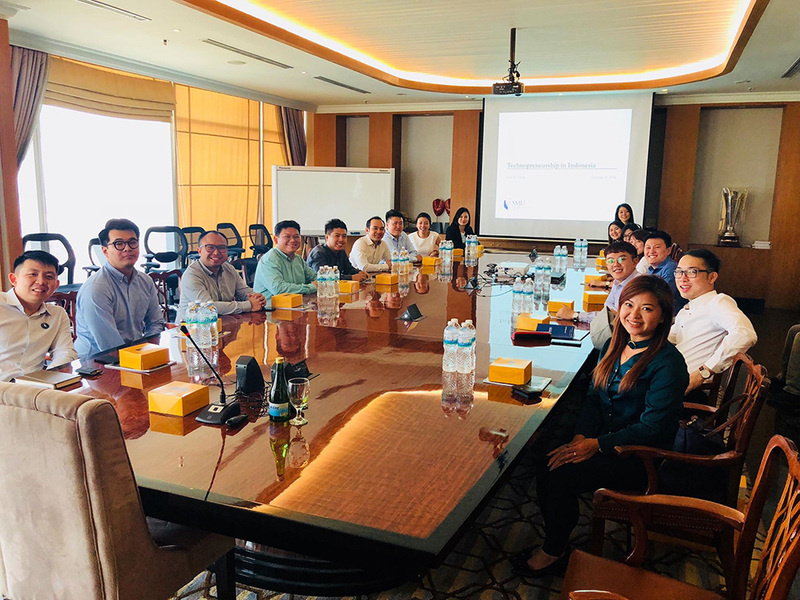 The alumni were also granted a private audience with Gita Wirjawan, former Trade Minister of Indonesia, member of SMU International Advisory Council Indonesia, and founder of Ancora Group. Indonesia as a high growth market: As the largest country in Southeast Asia, both in landmass and population, Indonesia has potential to be the fastest growing economy, especially with the liberation of its domestic market. An emerging young population: Indonesia has a population pyramid that countries with ageing populations can only envy—there is a “bumper crop of young people” contributing to the nation’s economic growth and productive workforce. The average age of Indonesia’s population was around 29 years old in 2015. The growing middle class: Coupled with the young population, the growing middle class in Indonesia is driving demand for more goods and services. Despite these opportunities, doing business in Indonesia is not without its challenges—of the 60 million SMEs, only 20 million have access to bank accounts. The rest of the population remain “unbankable”—left out of access to financial institutions. Further, with 17,000 islands, 300 different native languages, and almost 100 political parties, Indonesia remains fragmented both geographically and politically. However, the demographic and economic landscapes are rapidly changing with the emergence of Fintech and peer-to-peer lending companies, which aims to tackle these gaps in financial inclusion. The government is also investing in infrastructure, and opening a historically protectionist market to the rest of the world. It would not be a surprise for Indonesia to emerge as the fourth largest economy in the world by 2045 (100 years from its independence). For the Myanmarese alumni, these insights were especially relevant as Myanmar was undergoing a similar phase of growth. Many of our alumni are undertaking business ventures that would make a meaningful impact in their own societies. For example, Candy Khin (BBM 2014) aims to bring in an educational programme that would offer training in creative thinking among children in Yangon. Evelyn Khin, who was affectionately known as Ma Evelyn (“Ma” being an honorific for “elder sister” in Burmese), operates a travel agency, boosting tourism for Myanmar’s countless natural wonders. These individuals are but a small sample of the larger SMUMAC, which is more than 80 members strong, each pursuing endeavours that drive the economy of Yangon. A visit by our alumni to another country would not be complete without meeting up with their counterparts. More than 20 members of the SMU Indonesia Alumni Chapter met with SMUMAC over dinner, organised by Gulshan Harjani (BBM 2006), President of SMU Indonesia Alumni Chapter. A half hour before the dinner, the gentlemen of SMUMAC disappeared, only to turn up in recently-purchased batik shirts to greet their peers. 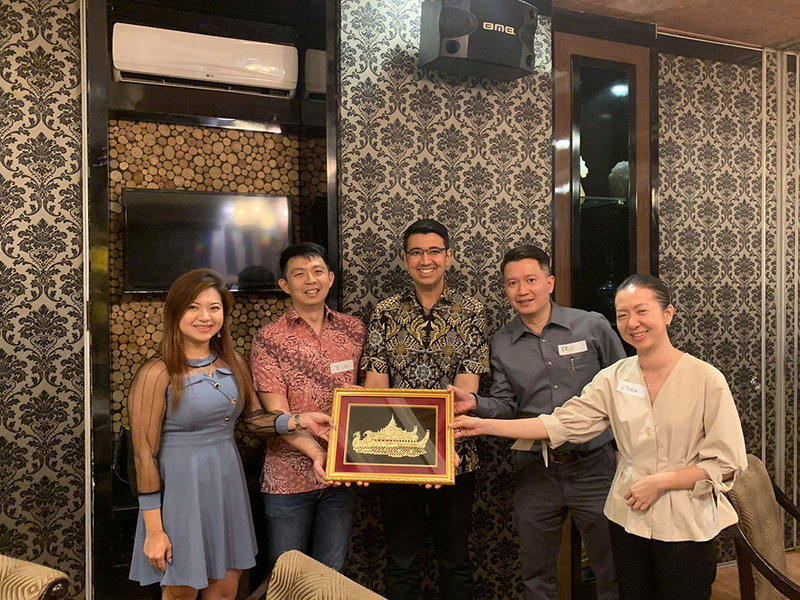 This was of course well-received by the Indonesia Chapter, which consisted of both Indonesian alumni who had returned to their country and Singaporean alumni who had relocated to Jakarta for work. In fact, it was through Indonesian alumni that SMUMAC managed to secure their local transfers (through Eric Suryana (BAcc 2006) who runs Bee Buzz) and accommodation (through Ettoria Tasani (BBM 2006) who manages Ibis Hotels). What’s next for overseas alumni? With the success of the inaugural Alumni Study Mission, the Myanmarese alumni are looking into organising annual trips to various countries for their members. SMU’s global ecosystem of partners in academia and the industry, as well as networks in International Advisory Councils and overseas alumni, offer ready opportunities for alumni to gain real-world insights through these study missions. It would not be long before we see more out-of-classroom, out-of-country learning experiences with SMU alumni! SMUMAC would like to thank SMU’s Office of Advancement and Office of Alumni Relations, Ivan Chang (BBM 2014) and Lim Kexin (BAcc 2005) for their support of the inaugural Alumni Study Mission, as well as all the individuals of the companies in Indonesia who had kindly taken time out of their busy schedules to meet with the group.